A fascinating country, boasting four official languages and some of the prettiest train trips in the world, Switzerland has something for everyone. Among world-famous chocolate, watches, cheese, and army knives, you will find medieval architecture, mountains, and lakes, alongside contemporary centers. Most Switzerland itineraries include world cities Zurich and Geneva. However, picturesque Switzerland is often found in smaller cities. With its modern and efficient train system, which lets you basically cross the country from Geneva to Zurich in less than three hours, it is rather easy to just pick a city (or two) as your base and explore most of the country through day trips. Here are five cities to include in your Switzerland trip planner. 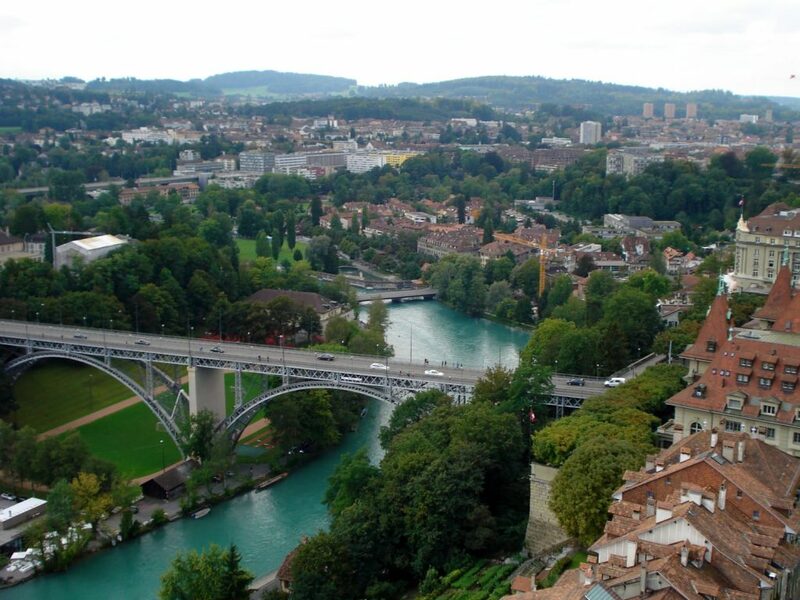 The capital of Switzerland, Bern has managed to retain its historic flair as successfully as very few cities. The old town is a UNESCO World Heritage Site with its many fountains, sandstone facades, narrow streets and historic towers. The city is packed with a variety of museums, including the History Museum, the Fine Art Museum, the Swiss Alpine Museum, and the Communication Museum Bern. Albert Einstein, one of Bern’s most famous inhabitants, receives special attention with both the Albert Einstein House and the Einstein Museum. The symbol of the city is the bear, and a family of bears lives in the Bear Park, a tourist attraction close to the edge of the old town. Not to be missed: the elevated Rose Garden above Bear Park, a perfect combination of nature and panoramic views. The “Olympic capital”, Lausanne is home to the Olympic Committee and also the Olympic Museum, the world’s biggest center for the Olympic games. But this is not the only reason to visit this compelling part of French-speaking Switzerland. Spread over three hills, surrounded by vineyards, and bathed by Lake Geneva, Lausanne is an appealing city. Its old town is mostly pedestrianized, bursting with small alleyways, cafes, and boutiques. The cathedral is the city’s pride and joy and is deemed Switzerland’s most impressive piece of early Gothic architecture, shaping the landscape of the medieval city center. Among the many museums, the Musée d’Art Brut in Beaulieu Castle, which is a collection of marginal art, stands out. With incredibly well-preserved medieval features, Lucerne often feels like you are stepping into a history book. The picturesque old town is full of historic houses, town squares and churches, including a Jesuit church dating from the 17th century, considered Switzerland’s first sacral Baroque building. 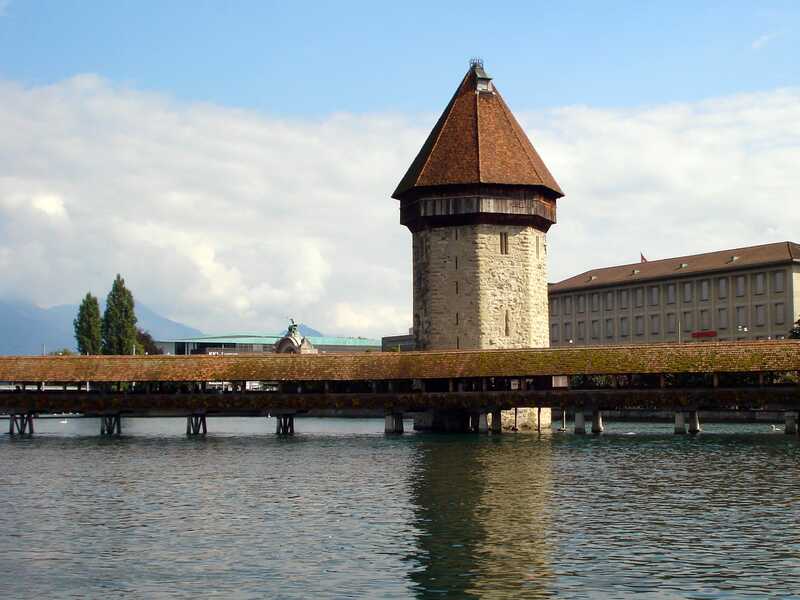 The unique Chapel Bridge, one of the oldest covered wooden bridges in Europe, is the heart of Lucerne’s landscape. Moreover, the Museggmauer, a medieval wall built to protect the city, has been preserved in its original state, with the exception of only one tower. One of the most recognized Swiss monuments can also be found in Lucerne: the figure of a dying lion, sculpted in a rock. It pays homage to the heroic death of Swiss guards killed during an attack on the Tuileries in 1792. In the Italian-speaking part of Switzerland, you can get the best of both worlds: the incredible Swiss organization with a bit of an Italian flair. Lugano is home to beautifully ornamented churches alongside numerous buildings in Italianate Lombardy style. Its historic town center is full of Mediterranean-style squares and arcades, and, on the shores of the Lake Lugano, you can find beautiful parks such as Parco Civico and Belvedere Gardens, which become especially breathtaking in spring, when the camellias are in bloom. Surrounded by numerous mountains, you will not fall short of options for great viewpoints. A picturesque and pedestrianized Swiss village, Zermatt is surrounded by the Alps, including twelve peaks over 4000 meters. Among those, you can count the Gornergrat, Monte Rosa and, arguably, the most famous Alpine peak: the Matterhorn, one of the highest summits in Europe at 4,478 meters (14,692 ft) above sea level. You can ride a cable car to the top, where there is a small expo and, of course, you can enjoy the views; just make sure you have suitable clothing because it gets cold very fast! 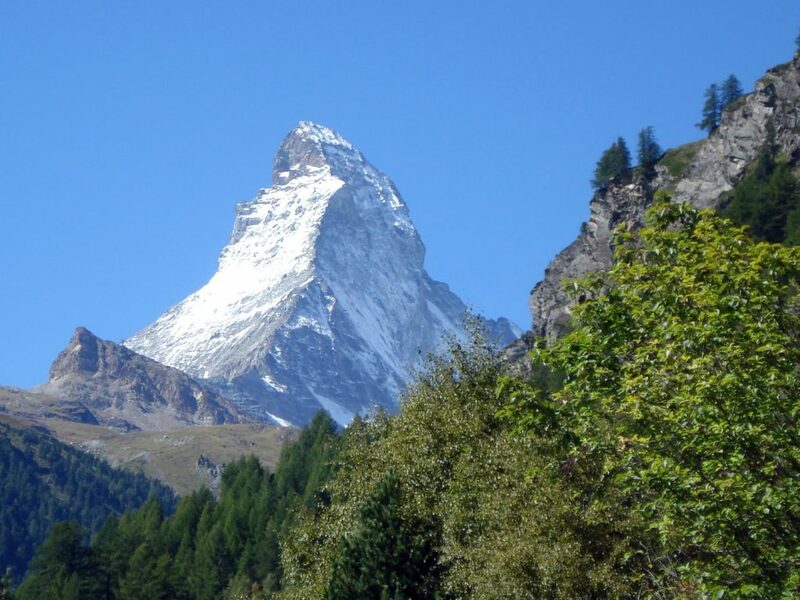 By the way, if you look at the Matterhorn and feel like you’ve seen it before, you are probably right: it is the logo for Toblerone. Louise Elali wants to live in a world where airplane seats are comfortable, pictures get developed, and postcards have stamps. A travel writer and communication specialist with an MA in Global Visual Communication, she works with travel brands to improve their exposure in four languages. 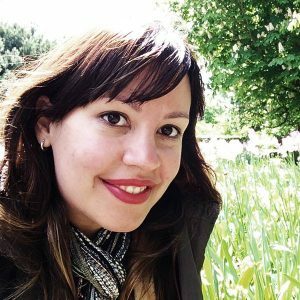 When she’s not editing up a storm, you can find her watching the silliest sitcom she can find, searching for cheap airline deals or sharing travel tips in her mother tongue at http://www.sosviagem.com.br.